Hollywood Studios is often described as a half-day park because of its size and show-based attractions, but the Studios hold three of the most popular rides at Walt Disney World. Navigate Hollywood Studios using the TouringPlans suite of tools and don't waste any of your vacation time in line for Tower of Terror, Rock ‘n' Roller Coaster, or Toy Story Midway Mania. Our tools maximize your time in the park so that you can ride the rides you want to, see the shows you don't want to miss, have great dining experiences, and be entertained instead of slogging through crowds without a plan. Hollywood Studios is rated 4.5 out of 5.0, based on 8,751 reader surveys assessing its attractions. (See our Ratings and Research page for details.) A single-day, single-park ticket to Hollywood Studios costs from $96.00 to $122.00. Hollywood Studios is located at 351 S Studio Dr in Lake Buena Vista, FL. Its phone number is (407) 939-5277. 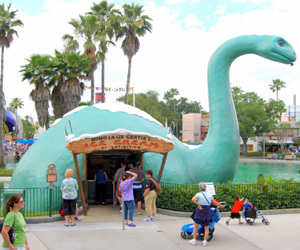 Every morning at Disney's Hollywood Studios, guests flock to the entrance of the headliner attractions. Crowds outside Toy Story Mania are either busy or insane! However, there are lots of tips and tricks you can learn to make sure you pick the right day to visit The Studios. Our Crowd Calendar will tell you how busy or insane it will be every day for the next year and our Touring Plans will tell you exactly how long you will wait in line when you visit, and in what order to ride the attractions to minimize that wait. Picking the right day to visit Hollywood Studios means knowing when not to visit. Check out our lists of park hours, park schedules and Refurbishments & Closures. If your group has little padawans, you may want to sign up for the Jedi Training Academy. "TouringPlans' crowd calendar, blog, restaurant information, personalized touring plans, and especially the Lines chat were a big part of our planning. Plus, we used Lines to optimize our touring plans while in the parks for even shorter lines. 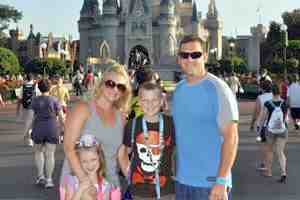 Touringplans.com has all the tools you need for navigating and enjoying WDW!" 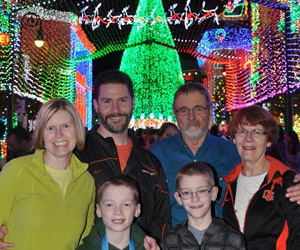 Disney's Hollywood Studios has something for everyone in your group. Thrills for the teens, live shows for the tots or broadway performances for Seniors. Little mermaids, little Skywalkers and little rockers will all find one-of-a-kind experiences at Hollywood Studios. All these choices mean planning is a priority though. Especially since much of what you want to do has overlapping schedules. Tell us which attractions and shows you want to see and our Personalized Plans will tell you how to organize it all to keep everyone happy. 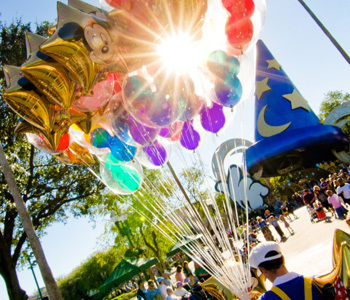 Want to know how to use FastPass+ at Disney's Hollywood Studios? How to find the shortest line but get the most points on Toy Story Mania? Find all the answers with a TouringPlans subscription. The force is strong in the Kinney Family children! 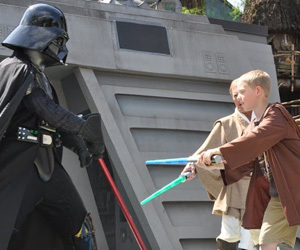 Be sure to sign your kids up for the Star Wars Jedi Training Academy, where they learn how to wield a light saber, and may just face off against Darth Vader himself! Jedi Training Academy and more! Hollywood Studios also has lots of character meet and greet opportunities for characters like Sofia the First, Chewbacca, Olaf, and even Sorcerer Mickey! And don't forget to build your custom Touring Plan to include the nighttime water and laser show, Fantasmic! Looking for the perfect cool treat on a blazing hot day in Disney's Hollywood Studios? Look no further than Gertie's Ice Cream. Hey, it's ice cream and dinosaurs — your kids will love it! Hollywood and Vine and other great locations. Hollywood Studios also features some of the best-known snacks on property like the Carrot Cake Cookie at Sweet Spells and awesome seasonal cupcakes at Trolley Car Cafe.